Like you, caring for patients and their vision is our priority! 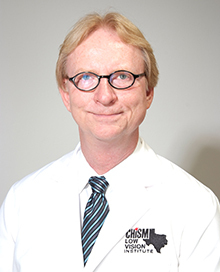 Dr. Larry M. Chism has the training and technology to help patients improve their life through vision. As a result, many doctors like you, including ophthalmologists, primary care providers, pediatricians and other optometrists, refer their medical and specialty cases to our practice.